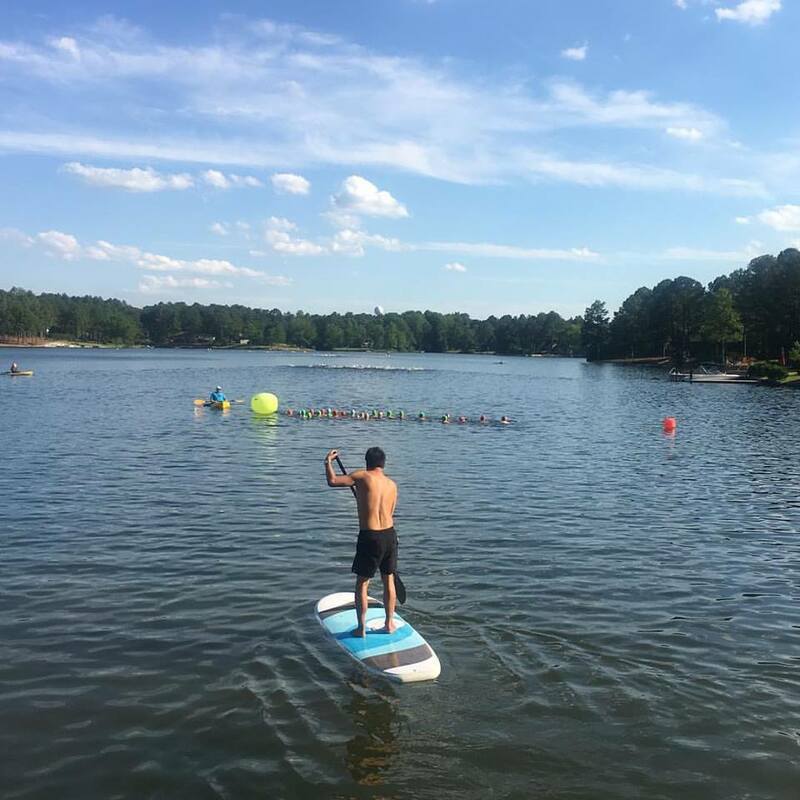 Throughout the weekend of June 2-4, the waters at Lake Echo in Pinehurst, North Carolina, crashed and churned as the Southern Zone open water teams fought their way to the top of the podium. Coming into the weekend as the reigning two-time champions, the North Carolina team sought to defend their title and achieve another win as other Southern Zone teams chased them down. 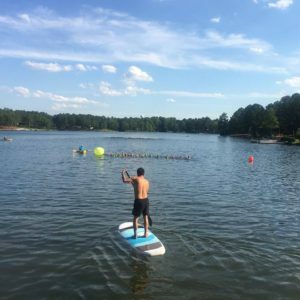 But North Carolina, led by 2005 Open Water Swimmer of the Year Chip Peterson and 2017 10k Open Water Nationals champion Ashley Twitchell, focused on their team goals and strategies, culminating the weekend in another Zone victory. Winning the weekend with an overall score of 474 points (24 points over 2nd place), the North Carolina team accomplished what no other Southern Zone team had achieved before — a three-year consecutive win in the Southern Zone Open Water Championships! North Carolina’s open age group men’s and women’s teams both dominated in their individual races, as each teams’ 4 members placed in the top 8 of their 5k races. The 15-16 boys’ age group saw a 1-2 finish by 2016 Olympic Trial qualifier Ross Dant, followed closely by Thomas Brentzman (2nd) and Owen Lloyd swimming in 5th. The 13-14 teams commanded their age groups, as Sydney Morgan and Isabel Pennington both placed in the top 3 for the girls, and Jared Carter, Connor Hughes, and Danny Qaqish achieved top 8 points for the boys. Throughout the weekend, head coach John Payne and team manager Jonathan Bescher promoted atmospheres of camaraderie and fun as well as strategic and technical approaches to each of the teams’ individual and team pursuit races. The coaches’ encouragement to work together in line-ups, starts, and pacing was clearly evident as these swimmers from across NC came together to secure a historical win for North Carolina Swimming. Complete race results are linked below, and you can follow the North Carolina Zone Team’s updates and photos via their Facebook and Instagram pages. Swimming news courtesy of Ashley Cox.